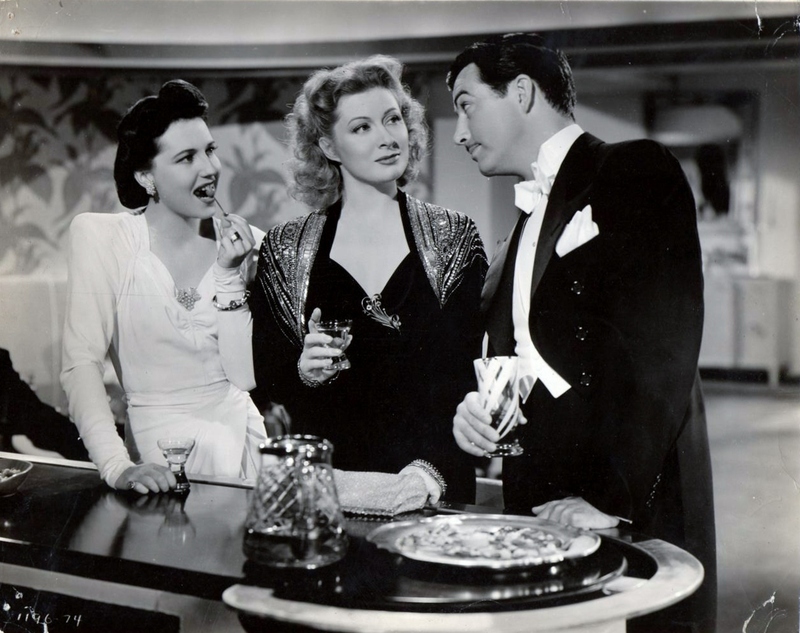 When Ladies Meet (1941) is playing on Turner Classic Movies on Sat, August 16, 2014 07:30 AM est. Closed captioned. “When Ladies Meet” is the story of a married couple, a lady author and a charming single journalist. Joan Crawford, the author, considers herself a “modern woman” freed from tiresome conventions and moral imperatives. Despite the movie’s 1941 date, the author’s relativistic attitude toward marriage and fidelity would be right at home in today’s left-wing intellectual circles. Her gradual evolution towards a different attitude is the meat of the movie. Mirroring the situation in her book is the situation of the married couple, Greer Garson and Herbert Marshall. The fourth member of the group is Robert Taylor as a journalist whose surface gaiety hides a serious moral foundation.The four actors make the movie much better than the script. Garson and Crawford strike sparks off each other in every scene they share. Herbert Marshall is suitably smooth and sleazy. But it’s Robert Taylor in a role involving physical comedy whose work is the most impressive. As it turns out, he is the person most grounded in reality–and the hidden hand behind everything. Everything has the expected MGM gloss–extravagant costumes, beautiful sets, excellent photography. Highly recommended. Review by me. This entry was posted in Films and tagged acting, actor, author, celebrities, comedy, entertainment, evening clothes, gentleman, glamor, Golden Era, Greer Garson, handsome, Herbert Marshall, hollywood, Joan Crawford, journalist, married couple, matinee idol, MGM, Mona Barrie, movie stars, Mr. Taylor, publisher, Robert Taylor, romance, TCM, Turner Classic Movies, When Ladies Meet. Bookmark the permalink. Not one of my favorites (too much of the ladies) & one of the few RT movies I don’t have on DVD, but I watched it again this morning & thoroughly enjoyed it. RT is excellent in both the comedy scenes & the serious scenes. MGM should have let him do more comedy. My favorite Taylor comedy is “Many Rivers to Cross,” also with a lot of physical comedy. I wish Mr. Taylor had done more comedy. He would have been good in some of he roles Cary Grant did. I’ve come to like this movie very much. The boating scene is hilarious. Thanks for writing.